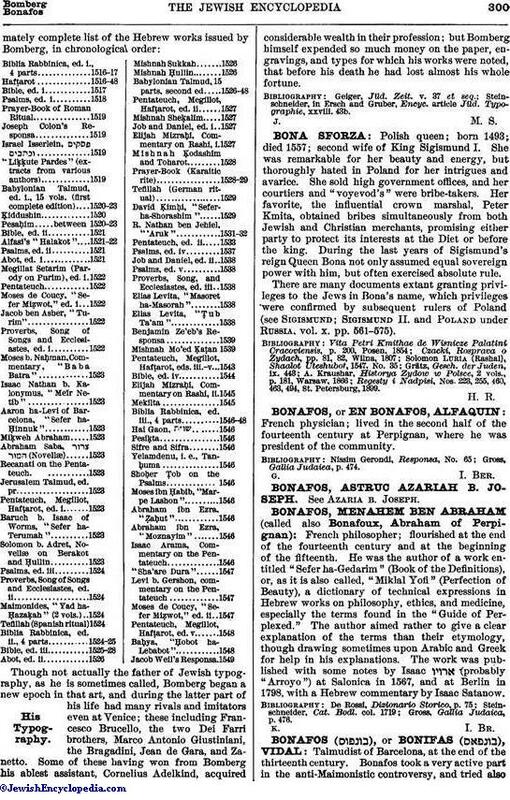 List of Bomberg's Hebrew Works. "Tefillot Latini." 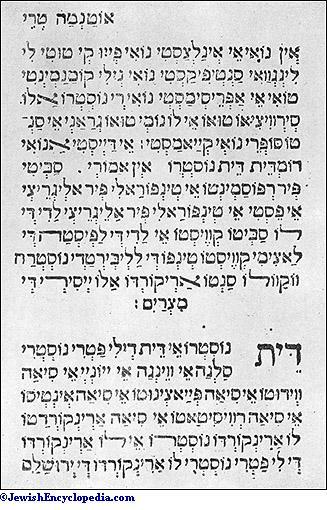 Italian Jewish Prayers Printed in Hebrew Characters, Bologna, 1538. 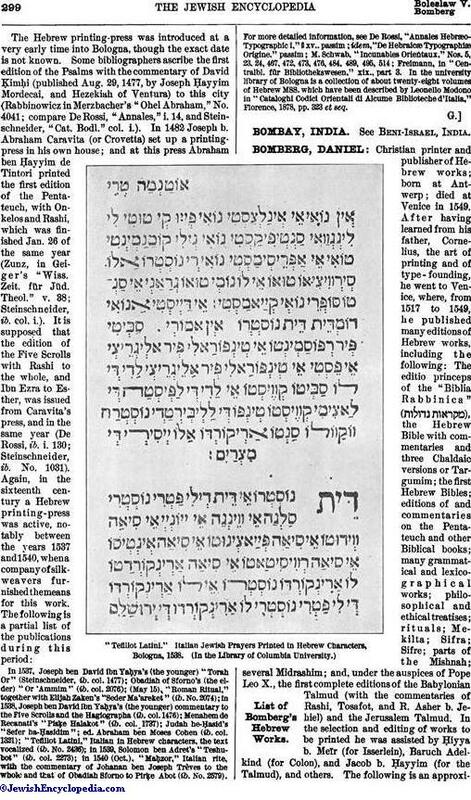 Though not actually the father of Jewish typography, as he is sometimes called, Bomberg began a new epoch in that art, and during the latter part of his life had many rivals and imitators even at Venice; these including Francesco Brucello, the two Dei Farri brothers, Marco Antonio Giustiniani, the Bragadini, Jean de Gara, and Zanetto. Some of these having won from Bomberg his ablest assistant, Cornelius Adelkind, acquired considerable wealth in their profession; but Bomberg himself expended so much money on the paper, engravings, and types for which his works were noted, that before his death he had lost almost his whole fortune. Steinschneider, in Ersch and Gruber, Encyc. article Jüd. Typographie, xxviii. 43b.